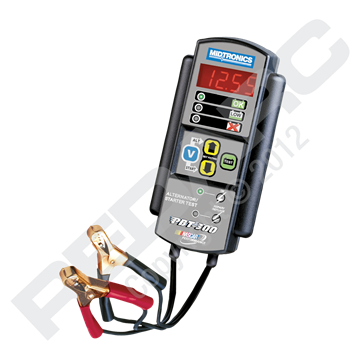 Midtronics battery testers and analysers, ensure that the state of health your batteries are top notch with an easy to use multimeter like system that will give an in depth report of any 12v lead acid battery. The battery analysers quickly measure the batteries sulfation levels of any of the batteries cells and quickly calculates the condition and charge of the battery. The analysers are even smart enough to determine whether the battery simply needs a good charge, and can print out its report for the customer’s reference. These come in many different versions depending on the application. 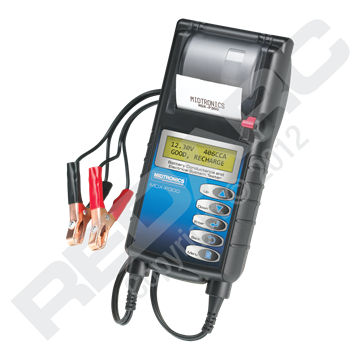 The Midtronics MDX-P300 is a 12v automotive battery tester which provides a fast starter and alternator voltage test. 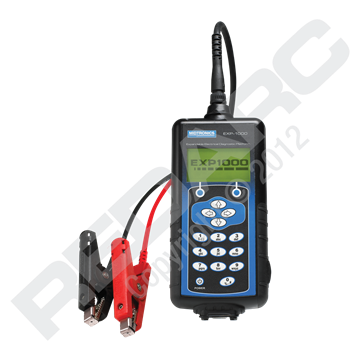 The Midtronics MDX-700P HD is able to test the full electrical system on heavy-duty vehicles. The Midtronics Hybrid Car Battery Tester is an interactive tester which enables you to test the battery pack and electrical system of hybrid vehicles. 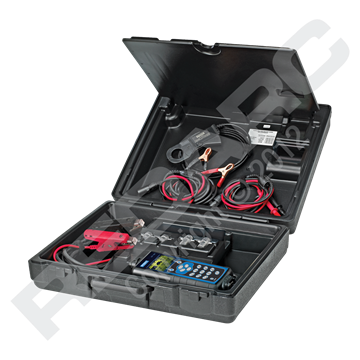 The Midtronics Expandable Electrical Diagnostic Platform AMP Kit includes a digital multimeter function, AMP clamp and case for the unit and accessories. 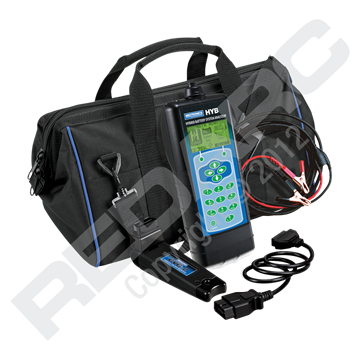 The Midtronics Expandable Electrical Diagnostic Platform Kit BMP EU provides accurate results for testing 12v & 24v systems and 24v battery banks.